SharePoint Champions serve a very important role in an organization's SharePoint environment. A SharePoint Champion serves as the "SharePoint expert" without necessarily having to be a developer, administrator, or even belong to the IT department. 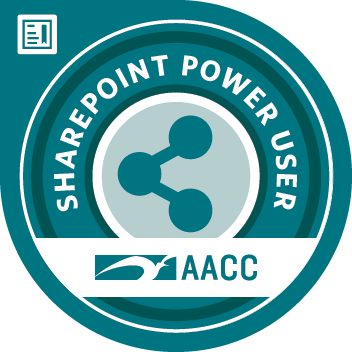 SharePoint Champions are power users with an in depth knowledge of the SharePoint features and functionalities. ONH-374 MS SharePoint Server 2013 for the Power User: Learn how to manage the team collaboration, document management and social features of SharePoint 2013. Communicate the basic functionality of SharePoint and the benefits of a SharePoint solution being utilized within an organization's department. Create a well structured site by identifying how users need to use SharePoint and sorting users into appropriate groups. Identify how to improve business processes and determine when a process cannot be improved using SharePoint. Develop a well thought-out security hierarchy within site collections and sub sites.